Today seems to be a very historic day for both the country known as France and for the rest of the world. The world is watching as the French people vote to decide whether or not Marine Le Pen becomes President or Emmanuel Macron. The first instance of the election was undecided as neither of the two parties won a majority. That is why on May 7, 2017, there was another election date for which the people must vote again. Marine Le Pens father has come out today and said that she is “ungrateful” and does not deserve the presidency. This may damage her position and her ability to win the election if people in France were to see the message as true. 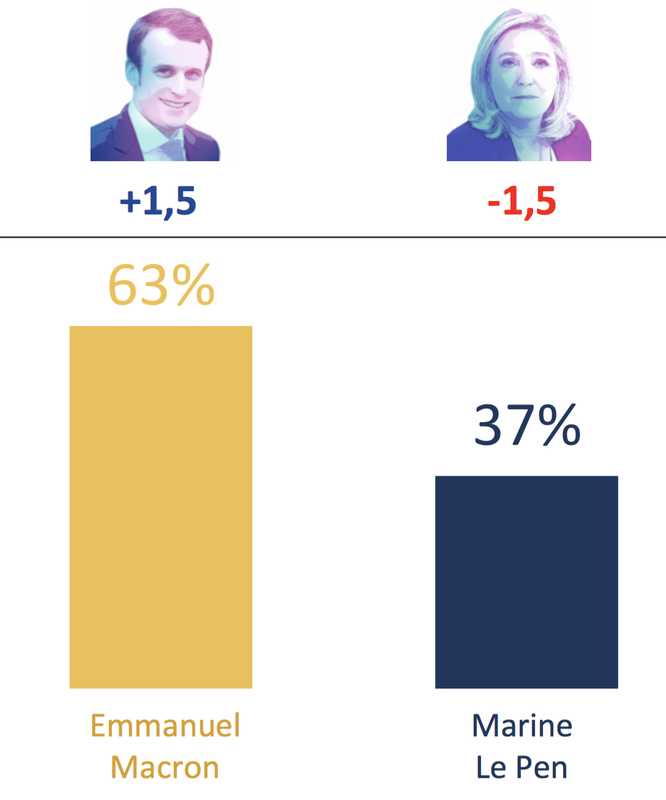 However, there was recently a leak that Marine Le Pen hopes could make her prove the polls wrong and win the election overall. Emmanuel Macron recently had an email leak that exposed budgets and emails that he had received and that he had sent to people. This might damage him if the French do not like his view and ideas that he wrote in those emails. Macron does have a stronger vision for the overall EU and hopes that everyone else thinks the same way as he does. However, Marine Le Pen does seem to have the same views and ideas and Macron. The French election seems to be brutal this time around as both candidates have attacked each other. Le Pen said “savage globalization” while referring to Macron and even mentioned his former history with politicians and in politics. Macron did something similar. He went ahead and labeled Le Pen as a “the high priestess of fear”. He also mentioned that her economic ideas to leave the Euro-zone will lead to economic ruin for France. There are currently several demonstrations taking place for both candidates in the election. Either candidate has supporters that are in the streets and calling for the victory of their candidate. Some supporters of both candidates have been arrested and are now in custody as a few people have done illegal acts during the demonstration. 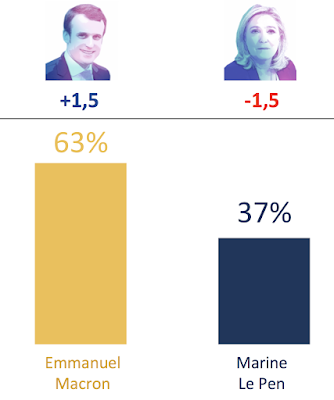 Macron is in the lead for the moment as he seems to have most of the vote in the polls. 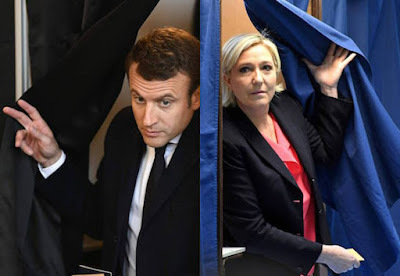 Le Pen, on the other hand, seems to be down in the polls but this can all change as the election nears on this truly historic day of events for France. There will be another article posted today once the election is over. This article was just a small update on the recent events of both the candidates and the supporters.